I have been completely terrible on the blogging front over the last couple of months since I got off maternity leave and returned to work. Certain posts and products that were supposed to have gone live and written up have gone completely over my head. I really need to get a bit more organised. Come on Lauren sort it out, haha. The summer season may be over and the cold seasons have approached but for those that are going abroad to the hotter countries towards the end of the year(you lucky things!) may need a little bit of help. It is super important to arm yourselves with a sun lotion with a reasonable SPF(at least 30 or 40, or 50 if you want the highest protection) no matter how much you want to sunbathe and get yourself a tan. The sun can have long lasting, damaging effects to the skin so it's better to protect your skin than not at all. It can be incredibly dangerous and result in burning, redness, peeling and even blistering of the skin. I know many people that tend to apply sun lotion at least once a day hoping that is all that is needed to protect from the sun but that is definitely not the case. It needs to be reapplied numerous times throughout the day. 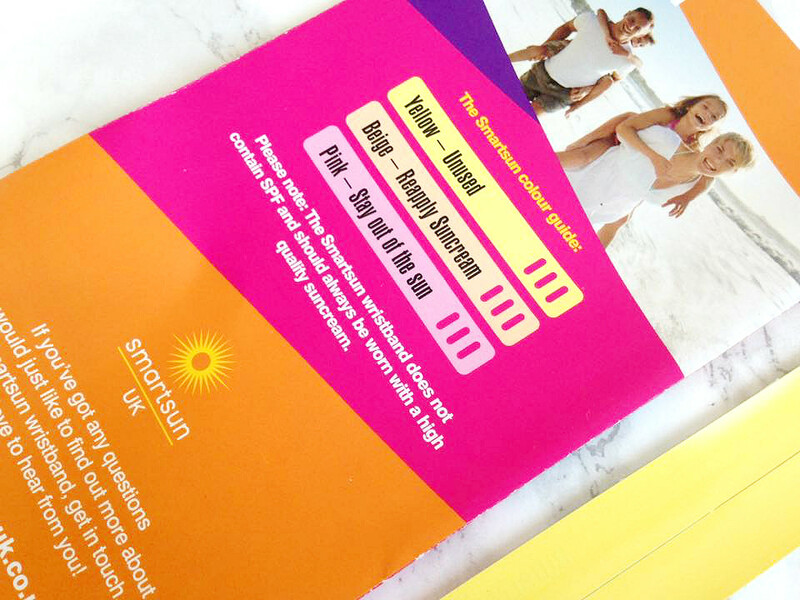 It can be a bit confusing when it's needed but with the help of the Smart Sun UV Wristbands you will know exactly when to do so. The UV wristbands are suitable for both adults and children. They change colour depending on whether or not you need to apply your SPF, before your skin starts burning and peeling. There are three colour modes. 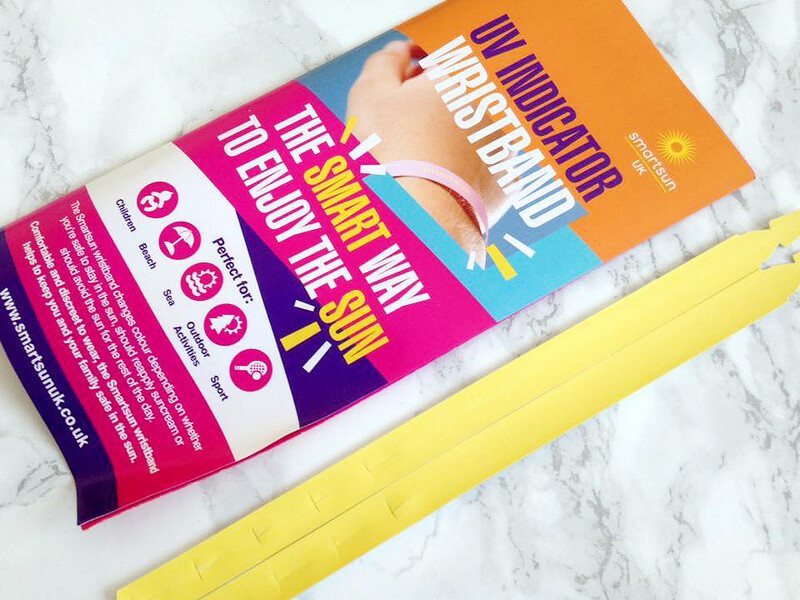 The original colour of the wristbands are yellow which means unused, Beige means you need to reapply and Pink means stay out of the sun. They're so handy with the simplest of instructions. All you have to do is put the wristband on in the morning and apply suncream to your body, and even the wristband too. Keep your skin protected! You can purchase them in a pack of 5 for just £3.99(originally £4.99) here from Amazon. Will you be going abroad soon? Will you be taking these along with you?